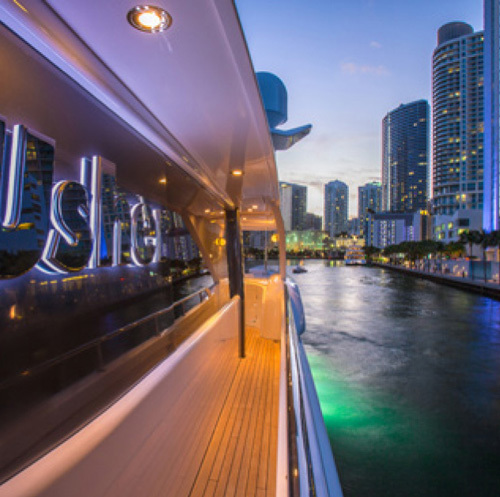 An early morning departure sees you and your guests off through Biscayne Bay - with its views of the Miami skyline and historic Stiltsville - to John Pennekamp Marine Park for a mid-day snorkel and swim in the U.S.'s first undersea park. 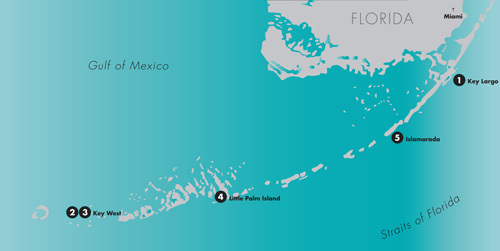 Stretching 25 miles, the park protects the only living coral reef in the continental United States. Lunch is served aboard while your yacht travels the scenic Keys coastline to Looe Key, off Big Pine Key, for late afternoon sunning, snorkeling and swimming in the turquoise waters. 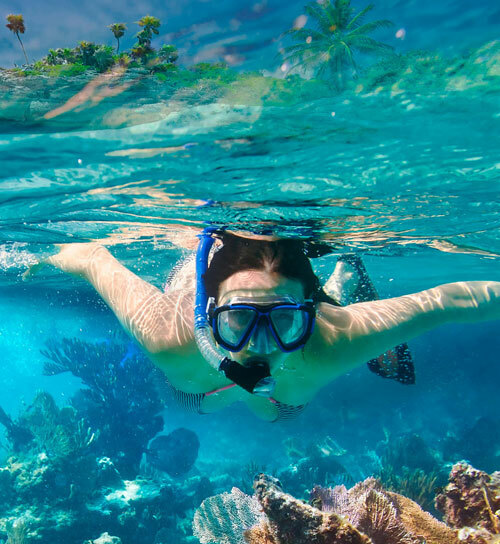 The Looe Key reef and the artificial reef wreck of the Adolphus Busch make wonderful sites for scuba diving and snorkeling at varying levels of experience. Rendezvous diving available upon request. Relax with a cocktail and take in the splendor of a magnificent sunset as your yacht cruises to Key West and the Westin Marine and Resort. Dine aboard with a gourmet meal prepared by your personal chef or venture out onto Duval Street for a night of Conch nation frivolity. Today you'll walk in the steps of Ernest Hemingway as you visit his home and local haunts. Stroll the galleries and shops of Old Town and partake of true Key West traditions such as the Duval Crawl pub-crawl, with over 300 bars to choose from. For a quintessential Key West experience, lunch amongst the free-roaming cats and chickens at Blue Heaven, where the signature dish is the lobster Benedict with key lime hollandaise. 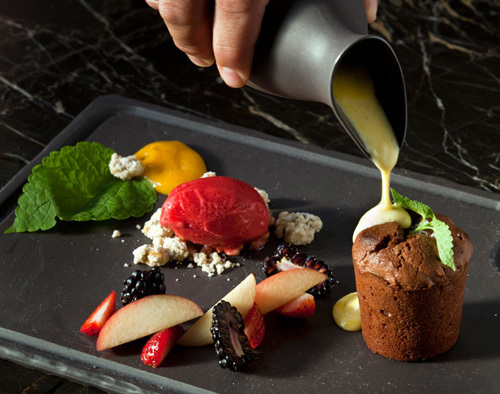 After visiting the Southernmost Point in the U.S. and taking your must-have photo with the larger-than-life buoy, freshen up for a sophisticated dinner and evening at Café Marquesa where the highly rated, somewhat eclectic, menu changes nightly. Enjoy a light breakfast on the aft deck while your yacht embarks on the 70-mile cruise to the Dry Tortugas today. Known as the site of the impressive Fort Jefferson National Monument, this 100-square-mile park is comprised of seven small islands that are only accessible by boat or seaplane. After a visit to the Monument, spend the day fishing, kayaking the mangroves, exploring the barrier reef system or discovering the varied species of birds that inhabit this magical place. Alternatively, stay closer to Key West and start the morning with an invigorating parasail or jet ski adventure. Head out to visit to Sand Key, a small sandbar marked by the Sand Key Light, which affords those who climb it incredible views of Key West. Just one mile east of Sand Key is Rock Key, a relatively shallow dive site perfect for any level of expertise. Crevices and caves are as deep as 20 feet and allow space for one diver at a time. Making your way back up to the real world, today you'll experience a slice of paradise known as Little Palm Island. Only accessible by boat or seaplane, Little Palm Island is five and a half acres of pristine beaches and solitary tranquility. Dock at the marina and take advantage of all this tropical oasis has to offer, from spa services at the resort to pure relaxation on the secluded beaches. An early morning departure from Little Torch Key has you arriving in Islamorada in time for a guided flats fishing excursion and lunch of the famous lobster grilled cheese paired with a refreshing blueberry margarita at the Cheeca Lodge. While an alternative dining option is Chef Michael's, who will cook your catch or serve up their hogfish special, you can also opt for the liquid Rum Runner lunch at the Tiki Bar. Your yacht can also anchor out while you tender to Whale Harbor sandbar to partake of a South Florida tradition. On holiday weekends this is the in-water place to be and can get a little rowdy, but on a regular day can mean a shallow-water wading pool for your enjoyment. A late afternoon return to Miami takes you near Stiltsville, a collection of stilt houses in the Biscayne National Park who at one time served as offshore prohibition era clubs.